WIN 1 of 2 Bush Baby Prize Packs worth over $90 each! 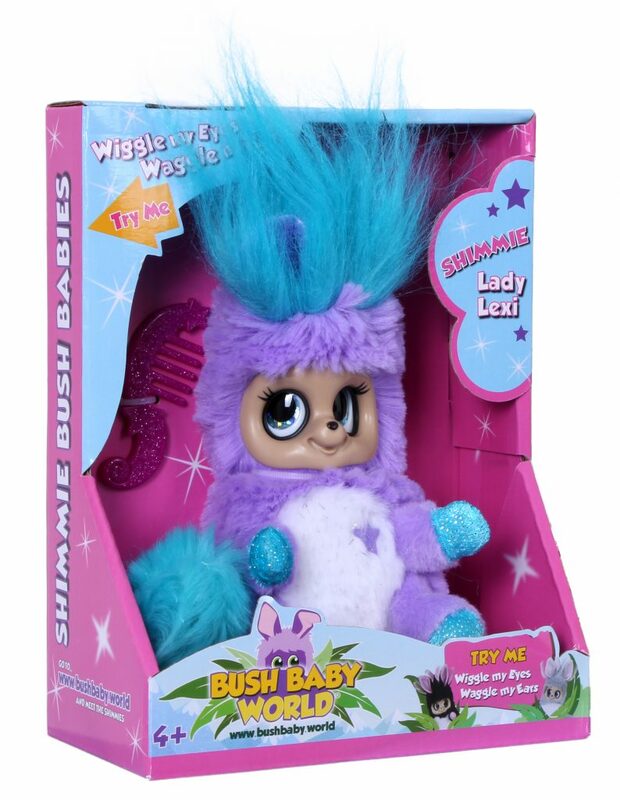 Welcome to Bush Baby World, home to your brand-new Bush Baby friends. Bush Baby World is a magical place full of cute and cuddly Bush Babies. There are many different regions across Bush Baby World where different types of Bush Babies live, each with their own stories and characters. 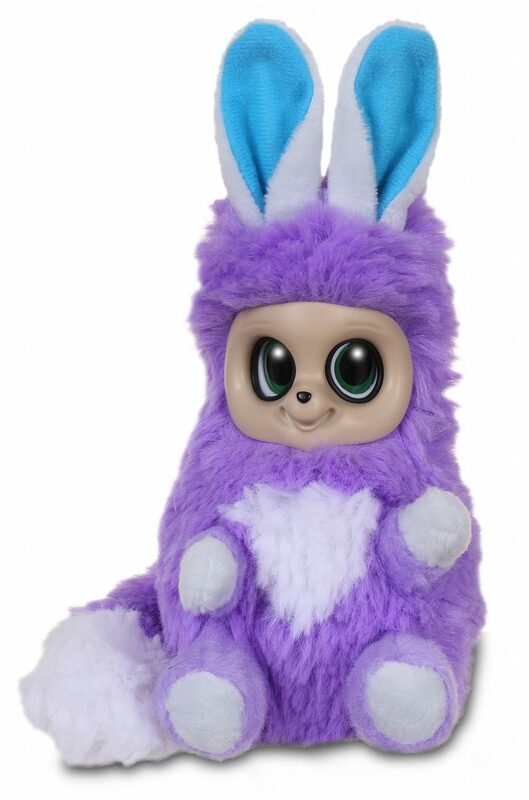 Bush Baby World creates an interactive play experience that lets little people join in on the fun with a vibrant range of highly tactile plush toys, accessories and playsets. A clever little mechanism at the back of the toys’ heads brings them to life, in your very own hand! You can wiggle their eyes and waggle their ears, with the squiggle of a finger. The first collection includes 14 different Bush Babies who hail from The Dream Tree and Shimmer Mountain. New Bush Babies from other regions will join them in coming months. Princess Melina is head of the Shimmie Bush Babies. Made from soft and cuddly fabrics, with wiggly eyes and waggly ears, she has lots of sparkly detailing and a shimmering royal crown as well as lots of fun accessories – a comb for her beautiful long ears and tail, a Royal Sceptre that is fit for a princess, silver bag, and a magical Shimmer Star. Princess Melina comes with a sparkly Royal Pod where she can snuggle up. With eyes that can wiggle and ears that can waggle, Lady Lexi and Lady Lulu are ladies in waiting to Princess Melina. 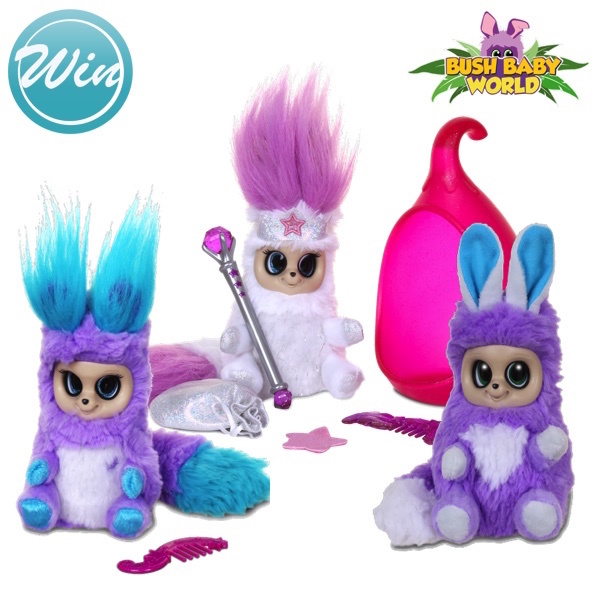 These Bush Baby World Shimmies have sparkly eyes, glittery fur and paws, coloured quiffs of hair, and they come with a comb for their beautiful long ears. Introducing Neesha, Oni, Issi, Kojo, Mimi and Kiki, the super cute Dreamstar Bush Babies that come alive in your hands with eyes that wiggle and ears that waggle. Made from soft and cuddly fabrics, the Bush Baby Dreamstars protect the Dream Tree to ensure sparkling dream dust is spread out every night from the golden flower crown, filling your dreams with endless wonder. Each have their own personality and interests. Collect your favourites or collect them all.